You get much the same 360 degree view camping in a hammock (as I often do) with a small (say 7’x7′) tarp for a shelter. 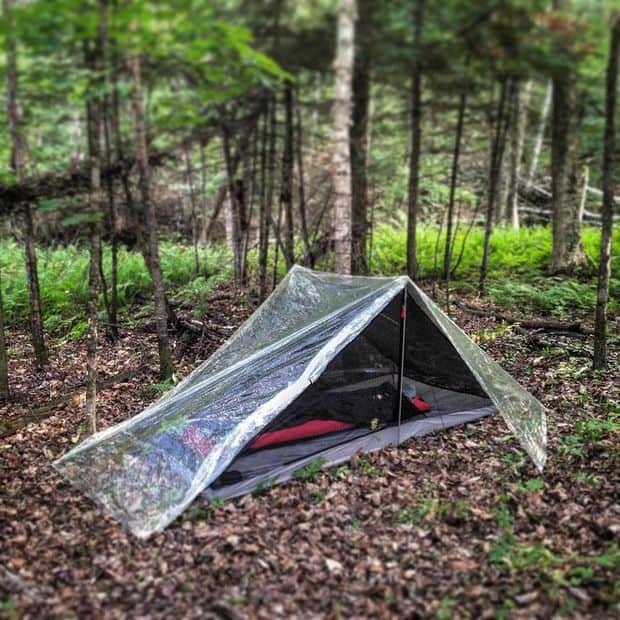 Thanks for linking to my tent on Instructables! It was a fun project. I recently uploaded a video of my hammock camping set up which uses a tarp made of the same material. Cheers. Thank You Paul. A most impressive experiment. I have posted a PS on my ‘Clearview Tent’ post linking to your new film about your ‘Clearview Hammock’. Good to see other folks pushing the limits! Cheers, Steve.